What is the TFP difference? TFP is an aggregation of foresters and landowners with the goal of providing locally grown and/or FSC‐certified wood to those that need it. 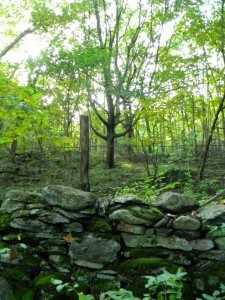 Because most parcels in the northeastern US are relatively small, it is hard for individual landowners with small harvests to connect with wood users. Similarly, FSC certification has largely been out of reach for many landowners because of the cost and complexity. By joining together landowners and foresters that manage these lands on their behalf, TFP helps create critical mass, bringing certification to the small landowner and real wood volumes to wood users. Additionally, we believe your story, as the steward of your land, is important. Your wood, harvested from trees that have been carefully grown over decades, is different from commodity lumber that comes from all over the world, from a wide range of management practices, with no guarantee of sustainability. We want to help tell that story and hence recognize good management. Why should you enroll in TFP? 1. To be recognized for your good forest management and to join others that share your commitment. 2. To receive forest certification, which may open up new markets for your forest products and give your management creditability. 3. To join others in seeking compelling local/certified uses for the wood growing on your land. Manage your forest in accordance with the Forest Stewardship Council (FSC) Principles and Criteria. Adhere to the management plan prepared by or approved by TFP. Allow TFP and/or the FSC certification auditors to review forestry practices and review documents pertaining to the management of your land anytime during the certification period with due notice. Notify TFP if there are any changes in the ownership/management of your land during the certification period. Notify TFP of any management activities on at least an annual basis. Enrollment is Easy – Contact your forester about enrolling your land with TFP. Are you interested but don’t have a forester? Please contact us at info@theforestpartnership.com or call us at (802) 439-5004.